We are still under the impression that Motorola is going to announce a new Moto 360 in the very near future, thanks to a Bluetooth SIG listing that showed up a couple of weeks ago. The original Moto 360 went on sale within weeks of stopping off at the Bluetooth verification service last year. If you were looking for an additional reason to believe that the new is near, then the hypebeast in you may want to look at today’s price drop of the original on Motorola’s site from $250 down to $150. This doesn’t appear to be a promotional drop either, as the website simply states that the Moto 360 is “now starting at” $149.99. We saw the price drop to $150 over the weekend at Best Buy, but assumed that was a Memorial Day sale. 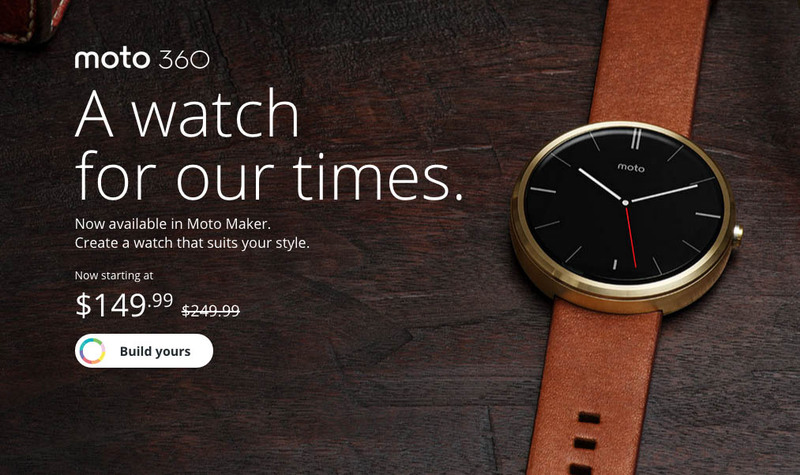 That doesn’t appear to be the case either, since Best Buy still has all Moto 360 models at $100 off today. Update: Motorola’s site outside of their Moto 360 landing page says that the $100-off price slashing is a sale that runs through June 9. Sorry, we were too quick in getting this up before they fully updated their full site. Get ready for it. Or if anything, take advantage of this crazy low price on the best Android Wear watch still available.